Kerri grew up in Norfolk and is a graduate of Lutheran High Northeast. 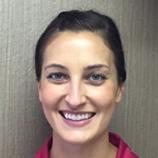 She attended UNMC College of Dentistry in Lincoln and has a Bachelor of Science degree in Dental Hygiene. Kerri’s husband, Casey, farms near Tilden. They and sons, Ryder and Weston, live near Oakdale and have two dogs, Bubba and Bella. She has a part-time photography business and also enjoys camping, wakeboarding and running in her spare time.